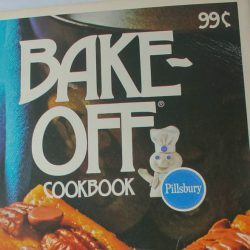 My former neighbor of many years knew exactly what cookbooks I would miss after the flood, and they arrived on my doorstep. Marina Castle Kelley sent me a package of books to help rebuild The Culinary Cellar. 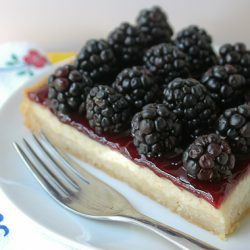 It looks like we share a love of baking! 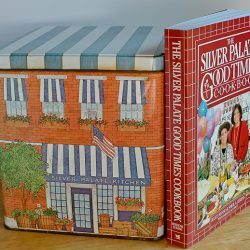 Since I wrote about Bake-Off books in yesterday’s blog, I thought I would tell you today about a superstar Bake-Off winner. 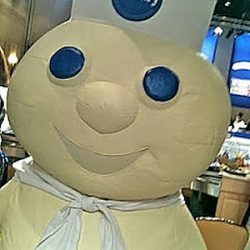 One of the heart-breaking losses of the Culinary Cellar flood was losing the Pillsbury Bake-Off contest books. Or so I thought…. 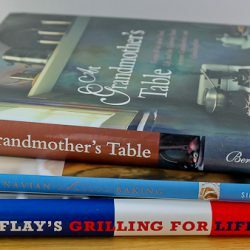 The joy of cooking brings people together across generations, and then one day something lands on your kitchen table and that bond becomes forever. 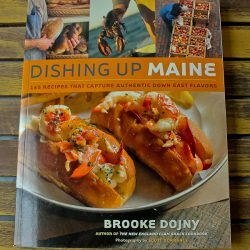 I had many dozens of state cookbooks and hardly any survived the flood, but this wonderful Maine book somehow made it through. When I needed a babysitter, Leigh was there. A flood? Leigh was there. 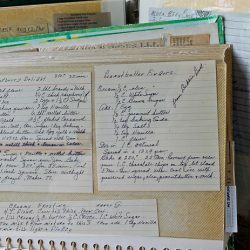 A saver of cookbooks? Leigh. Who is Leigh, you ask. Read and find out. The kindness of strangers never ceases to amaze me. 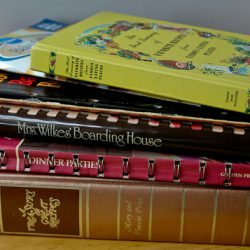 Ever since the flood, cookbooks show up on my door step regularly. These were the first.